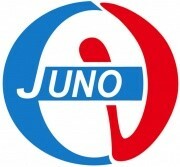 The Jiangmen Underground Neutrino Observatory (JUNO) is a medium baseline reactor neutrino experiment under construction at Kaiping, Jiangmen in Southern China. The project is designed to measure the neutrino mass hierarchy via the neutrino oscillations. The collaborations war formed in July 2014 and construction began January 10, 2015. The headquarter is the Institute of High Energy Physics (IHEP) under the Chinese Academy of Sciences. The collaboration is international. Thailand has 3 institute in the collaborations, Suranaree University of Technology (SUT), Chulalongone University (CU) and NARIT. 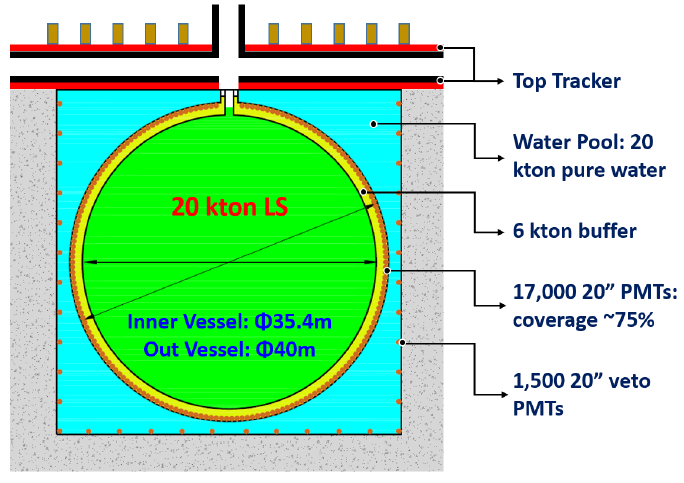 The main detector consists of a 40 m diameter transparent sphere containing 20,000 tons of linear alkylbenzene liquid scintillator, surrounded by approximately 17,000 photomultiplier tubes (PMT), a water pool and muon veto. This detector will be installed in 700 m underground. Since photroelectron can be deflected by the Earth’s magnetic field, thus the central detector must be shielding from Earth’s magnetic field. Thailand’s institute offer to design the Earth Magnetic Field Shielding system.